Tuesday, Branded Title Dealership AutoSource announced the sale of their 30,000th vehicle. The company was started in 2003 but the majority of those sales occurred over the previous five years during their aggressive expansion. “Over the past decade, we have spent considerable time educating the general car-buying public about the tremendous value of investing in a branded title vehicle from AutoSource. Those education efforts are now paying dividends as educated car buyers pour into our eight locations daily. This is an exciting time around here, and we’ve only just begun,” said Rich Jackson, president at Branded Title Dealership AutoSource. 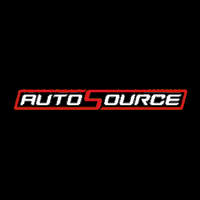 Woods Cross, Utah, August 21, 2018 (Newswire.com) – Tuesday, Branded Title Dealership AutoSource announced the sale of their 30,000th vehicle. The company was started in 2003 but the majority of those sales occurred over the previous five years during their aggressive expansion.